Chasing after God in ministry and life and journeying to worship Him with heart, soul, mind, and body. Need a little inspiration for your Sunday Songs? Here's our list... feel free to share yours! This is an oldie for some, but it is a new song for us, and our style is a little bit folksy pop. So we are playing this on the 'cool' side, rather than driving. It's fun, uplifting, and pretty simple: Verse, chorus, verse, chorus chorus, bridge chorus, chorus. Prayer, with keyboard pads in the background. This song is a personal fav of mind because of the reference to heavenly worship and Revelation. This song needs movement, so we start soft, singing gently with awe and wonder, building into the chorus, and quiet again on the verses. Sometimes, we end with the last chorus fairly slow and soft, but this time we are continue to build, then letting the last chord linger. This song originally had a plethora of verses - we sing just 4! No introduction, just starting right in on the verse, in unison, quietly with only keyboard accompanying and a bit rubato. Instruments in on the 2nd verse and building to the end. Because it's Palm Sunday, we are adding in a little bit of old tradition with Hosanna, Loud Hosanna after the children's message, accompanied by keyboard and little light perc, as well. All Glory Laud and Honor to close the service out, followed by God Be With You Till We Meet Again as sung by the worship team after the benediction. Mondays are typically adrenaline dump days - that day when my body processes the adrenaline surge from Sunday's time of ministry. I wonder how many of us aren't even aware that we are struggling with this? Personally, I find myself exhausted, physically sore, and more sensitive and more irritable than usual. I often don't even recognize it until I'm crying at the gas pump or rolling my eyes at the junk mail. It's only then that I realize how ridiculous I am being. The attitude suffers right along with the rest of me. A nap might solve some, the rest of it needs kept in check with a big dose of self-control, prayer, and grace. Lots and lots of grace. Self-awareness is the best way to manage adrenaline dump - if you don't recognize it, you just can't fix it, right? Spire is a wearable activity tracker that is supposed to sense when you are tense or stressed, and send you text messages to help you deal with it. It might be worth the $150 investment, although I would imagine our spouses, children, and friends could give us the same information for free. Or you could download a mood tracking app or even take notes in a journal throughout the day.You can learn to catch yourself if you know the patterns that occur. And once you figure out those patterns, you can come up with ways to mitigate any negativity or unwanted behavior. What is the pattern to your moods on a Monday? What consistencies do you notice? Does it change throughout the day? What strategies will you make to cope? that I've toyed with for this year - which one do you like best? What songs will you be singing Easter Sunday to celebrate our Risen Lord? Love Ran Red - Christ Tomlin. Read Luke 24:6-7: "He is not here, He has risen!" What's cooking at your Easter worship service? Easter Sunday will be here before you know it - what do you have cooking up for your Easter worship service(s)? Have your plans been simmering on the back burner for awhile or will you pop them in the microwave at the last second? Or will you just pull something out of the back freezer and defrost a few days before? Whatever you planning style might be, let me ask you this question that I have wrestled with for awhile. Do you change worship styles for special Sundays like Easter? If your church has always used a traditional style of music or if it has always used a contemporary style, this may not even be a question for you. But if your church is in the process of transitioning from traditional to more modern, or if it uses a more blended style of music, do you change it for Easter? I have been a part of churches that have been more contemporary in style on a regular basis, yet when it comes to Easter, they would throw open the organ and pull out all the stops, so to speak. They believed that people prefer to have a more traditional sound on special Sundays, especially those people that only visit on Christmas and Easter. I understand the point of that, of celebrating tradition with something however, isn't it better, on a Sunday where a church is more likely to get visitors, to faithfully represent the normal identity of the church? Wouldn't a visitor be confused if they heard one thing on Easter, only to come back later and hear something completely and totally different? Or am I over analyzing a special way to celebrate a glorious Sunday? That being said, how do we make special Sundays special while still being true to who we are as a church body? Are you enlisting the help of special music, a special choir, your best musicians, special songs? What's your plan, and just as importantly, why? Are you maintaining a musical status quo or are you proverbially pulling out all of the stops? I love the church. I love it in all its forms, shapes, sizes, colors, strengths, and weaknesses. The church is the beautiful Bride of Christ. But one of the greatest frustrations I have with the church-at-large is our penchant for splitting the family. Oh, I get it - every age/grade has its own Sunday school class so you can customize a lesson to give it more impact. From a learning perspective, it's quite logical. But from a family perspective, it's tough to split everyone up, especially when there are SO MANY church events to be a part of - worship services, Bible studies, VBS, etc. I don't get to see my kids when I'm at work or they're at school, so it makes it that much harder to head out for a church event knowing we are going to be divided. I would love to see a different paradigm be incorporated into our worship services. I'm talking about inter-generational worship services, or multi-generational worship services. Rather than having Children's Church, a Youth Service, a Young Adult Service, what if we just had a family service? Oh, I believe that most churches would absolutely say that children are welcome to sit in the service, but perhaps those same people have never felt the eyes burning into the back of your head as your child with extra needs is (a little too loudly) asking questions about the lights, the bulletins, the song, the pastor, and everything else that distracts him. What if we could come up with a worship setting that was as comfortable for kids as it is for adults (wait, are those hard pews actually comfortable?). 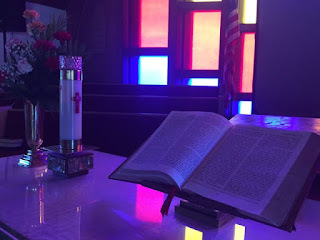 What if the sermon was written in such a way that children found it interesting, too (adults, are you listening to the sermons, I mean really listening? You should be! ), and the music was singable and enjoyable by all ages? What if we truly created a worship setting where everyone was truly welcomed - and not just those that can comfortable sit and listen for an hour to an hour and a half? What would that look like? Musically, the words would need to be simpler, with easier, more memorable melodies and less complex rhythm, but the style could be anything that suits the community. Seating arrangements might be better served as a table and chairs so children and adults could take notes or doodle while they are listening (adults learn by doodling just as much as kids!). Chairs that are made with a little bit of give for rocking would go along way to help wiggly ones enjoy staying in their seats. Maybe having several smaller sets of speakers throughout the room, putting out less volume, would be more listenable than one large set of speakers blasting from the front. Perhaps some comfy seating as well, a couple of toys on a blanket on the floor. And of course, coffee. Everyone is always more comfortable with coffee. I don't know how we got to our current evangelical worship format, but I don't think it necessarily looks like the New Testament church did, where they met together, ate together, worked together, shared together. But I think we can do a little better to create multi-generational worship services with our current formats without a radical shift that would upset the proverbial or perhaps rotten, apple cart. What could we do differently this week to make our service, our music, and our time together more accessible to families? How would your planning change if you knew you were focused on families rather than adults? What would your music sound like? How can we bring all of the generations together to do worship as a community united? I would love to hear your stories of how you made your church worship setting more family friendly... Please share in the comments and feel free to link to your church or worship center. What do you know about your church's musical identity? Every church has its own culture, it's own genetic makeup. Musical style is just one of those factors. It also includes age ranges, professions, meal preferences, activity levels, family size, church location, median income, etc. It might also involve attitudes, theology, genealogy, clothing choices, and lifestyle. These statistics and descriptors come together to make up the overall culture of your church. Think about it - how is the culture of an urban neighborhood different from a more suburban neighborhood and a rural neighborhood? For example, people who live in an urban area have little parking but easy access to public transportation. On the other hand, people who live in a rural area may have plenty of places to park but no access to public transportation. This in turn will affect the activities that a church plans or the things that a church might do together. One church may have room for lots of picnics but little indoor space for group meals, so church dinners only happen when the weather is nice. Other churches may have little outdoor space but plenty of room in the basement for potluck so church dinners are pretty routine. The music of a church works much the same way. Think about what style of music you use during your worship services. 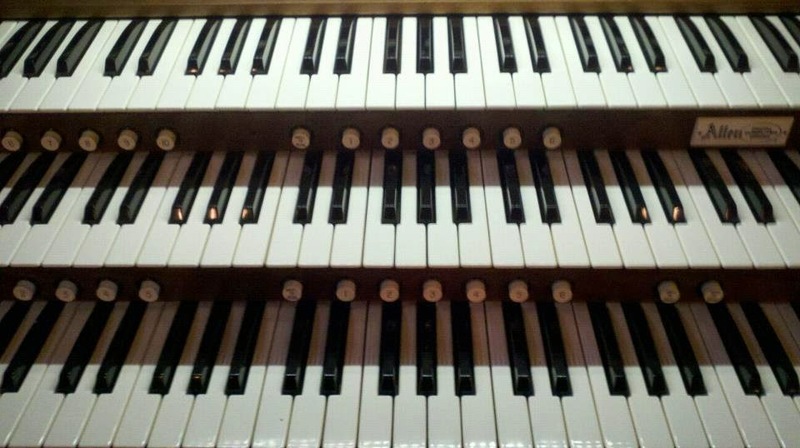 Do you have a worship band, an orchestra, a piano, or an organ? Do you typically use music that is fast and loud, slow and mournful, or a combination? Do you sing strictly traditional music, Gregorian chant, or modern? Or do you use all kinds of music? Is your church trying to copy the music of famous worship musicians? Say, Chris Tomlin, Hillsongs, the Gaither band, or perhaps Bach himself? Does your church have it's own unique musical sound, based upon the strengths of the musicians on your team? Now think about what music the people of the church listen to when they are not in a worship service. Guess what - if your church is primarily made up of Baby Boomers - do you think that they will they be listening to the music of the 60s and 70s? Do they like top 40? What if your church is largely Gen Xers, does this make your worship team sound like Depeche Mode or Bon Jovi? Does the music of your church people match the music style or styles that you use on Sunday morning? Why or why not? What's the current music trend and are you using that style in church? How about your church's neighborhood? What is the cultural identity of the people who live near your church? Do people walk to your church or do they drive long distances to get there? What do the people of your church's community like to listen to? If you don't know, try visiting the local shops and listen to what people are playing on the radio. Is there any common ground? What language or languages do you hear? Big box (I.e. Walmart and chain grocery stores) stores are more likely to play top 40 tunes, but be sure to listen to the music being played for the customers in the local small businesses. What do you hear on people's radios in their cars, and as you pass by them listening to their iPods? Does the music in your worship service match the style of music that is being enjoyed in your church's neighborhood? Lastly, as the pastor or worship leader, what are your musical tastes? And how do they affect the music that is happening in the church? Why is this at all important? Like Paul, are being all things to all people? Are we able to meet people where they are musically, or are we doing or own thing to cater to the people behind church doors? Are we reaching out or reaching in? Some would argue that the church's music should be different, set apart from the culture. That's a valid point, but sometimes it seems to be made by folks who resonate with more traditional styles of music. Those traditional styles are born out of a time period when they were considered the 'popular music' of the day. The Bible doesn't tell us what musical style to use in our churches. It doesn't say that one instrument is more holy than another, or one type of song is more Christian than another. It doesn't tell us how many songs to sing or when we've praised God enough. There is no magical music formula that will call down God's blessing on us! It does tell us, over and over, to sing praise to God! The Bible tells us to sing new songs, and psalms, and hymns, and spiritual songs. And the Bible tells us often to love others, serve others, and put others' needs before our own. If you're dependent on a certain style, type, or series of music to get you to worship God, then my guess is that something is missing in your personal time with Jesus. If you can't get in the mood to praise because the music is too fast, too slow, not good enough, or the wrong style, than you're probably missing the point. The point is that we come together to worship God as a community - as a family - for who He is and what He has done - and musically we will need to find some kind of common ground to do so. Why don't we take this opportunity to use our common ground music to also reach out to the community around us? To help our church's neighbors feel welcome and comfortable and part of the family, too. According to Fox News/ Associated Press, in 2014 Burger King dumped its 40 year old advertising campaign, "Have it your way" in favor of an updated version, "Be your way." In their brand new ad campaign, Burger King attempted to hit our cultural hot buttons: to live as we please, be who we want to be, and let our self-expression take precedence over everything else. (You can read over the article here). I have no idea if it was a successful campaign or not, as I typically only ever eat a Whopper under duress, but BK's campaign effectively reflects some of the culture that we live in. From Frank Sinatra to Bruce Jenner to Miley Cirus, we as a society feel stifled, if not even abused, when we can't freely express ourselves and our personas. But what do whoppers and worship music have to do with each other? I think that when it is so ingrained in society that we should be who we are, say what we feel, and have what we want regardless of what anyone else thinks or needs, it's hard to keep that feeling out of the church. We just don't realize how steeped in culture that we are. And it isn't all bad, because we love our freedom in all its forms! It's just who we are as a society, and perhaps one of the reasons why we are so hated but other societies. Freedom is a good thing. But selfish freedom can be a bad thing. What if everyone came to church for a worship service and then sang their own favorite worship song, chorus, or hymn all at the same time for the purpose of praising God through our own self-expression? It would be a cacophony of sound, chaotic, and definitely not enjoyable. We have to develop a common ground for our worship services, even if that means setting aside some of our particular preferences for the sake of unity and cohesiveness. I would never say that one style of worship is inherently better than any other, because I believe that God loves variety- look how He created us! But God also loves unity, so we need some kind of a consensus in our style of worship services. And since every church is different, it's going to look different in every church. For some, it may be more blended, for some, very traditional, for others, very modern. That's ok! However, if we want to be reaching new people for the Gospel of Christ through our music, we might want to think about how we can be culturally relative - how we can relate to the music tastes of the people in our church's community - how we can be in the world but not of the world. 19 Even though I am a free man with no master, I have become a slave to all people to bring many to Christ. 20 When I was with the Jews, I lived like a Jew to bring the Jews to Christ. When I was with those who follow the Jewish law, I too lived under that law. Even though I am not subject to the law, I did this so I could bring to Christ those who are under the law. 21 When I am with the Gentiles who do not follow the Jewish law,[a] I too live apart from that law so I can bring them to Christ. But I do not ignore the law of God; I obey the law of Christ. Paul sacrificed his freedom for the sake of others! Paul willing gave up his freedom of self-expression in order to fit in culturally so that he could help others know Christ. To him, self-expression and personal preference were nowhere near as important as reaching others for the Gospel of Christ. So do you think that this idea should carry over into our worship music? Should we give up our freedom of musical expression so that we can connect with the musical tastes of those in our church's community? Why or why not? Next time, we'll look at how we can get a feel for our church's musical culture and how to compare it to the culture of the people in your church's community. Shop here to support the beautiful blog! My It Works - Get Skinny Fast! Follow Amanda's board The Beautiful Blog -a worship blog on Pinterest. Follow Amanda's board People of Wonder on Pinterest.